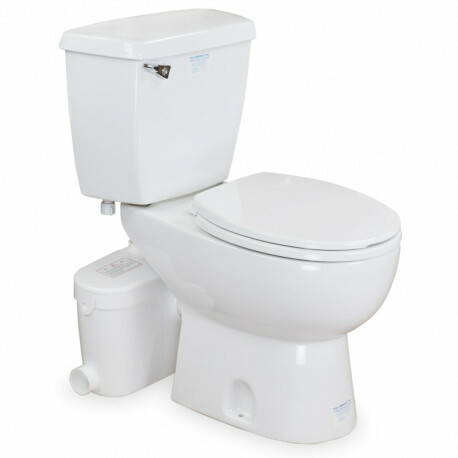 This toilet set includes SaniACCESS 3 macerating drain pump (part# 082), SaniFlo round toilet bowl (part# 083) and SaniFlo toilet tank (part# 005). EPA WaterSense compliant, CSA certified and UPC listed by IAPMO. See individual products for details and specifications.